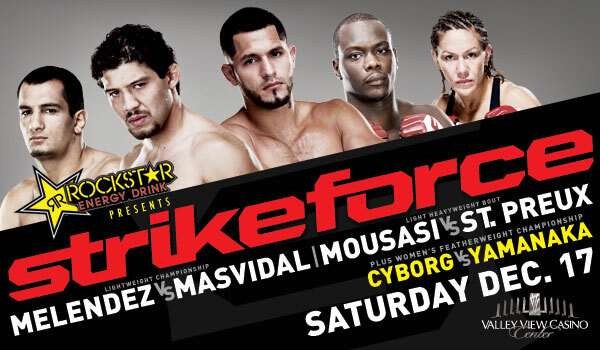 Strikeforce 37 will take place December 17th on Showtime. It is headlined by the Strikeforce lightweight title fight between Gilbert Melendez who is considered by most in the top 3 lightweights in the world and Jorge Masvidal, who is coming off of a huge win over KJ Noons. Masvidal will grind it out to a decison, but in the end Melendez will get the nod. At this point, Cyborg is by far the best female 145er in the world. I expect Moussai to pick St.Preux apart, this will be Ovince first real big fight in his MMA Career. Noons is one of the very best boxers in MMA, he can give lots of people fits at 155.